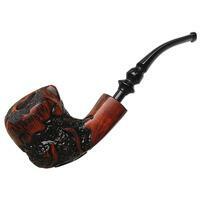 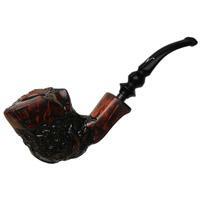 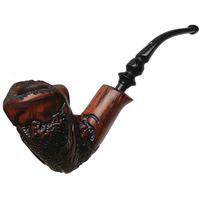 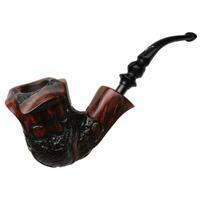 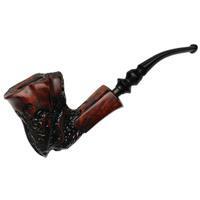 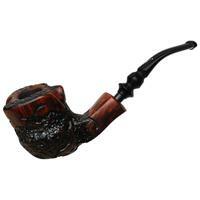 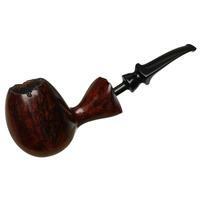 Undeniably substantial and gestural of stance, this deep-chambered Freehand shape from Charles A. Franks is quite the muscular number, and the combination of dark, smooth finish and rusticated texture at the aft makes for a pleasant tactile experience. 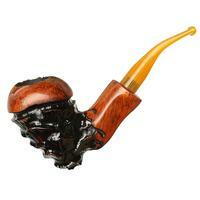 There's some rim darkening and chamber carbonizing, but otherwise condition is good. Bowl Height: 2.58 in./65.53 mm.